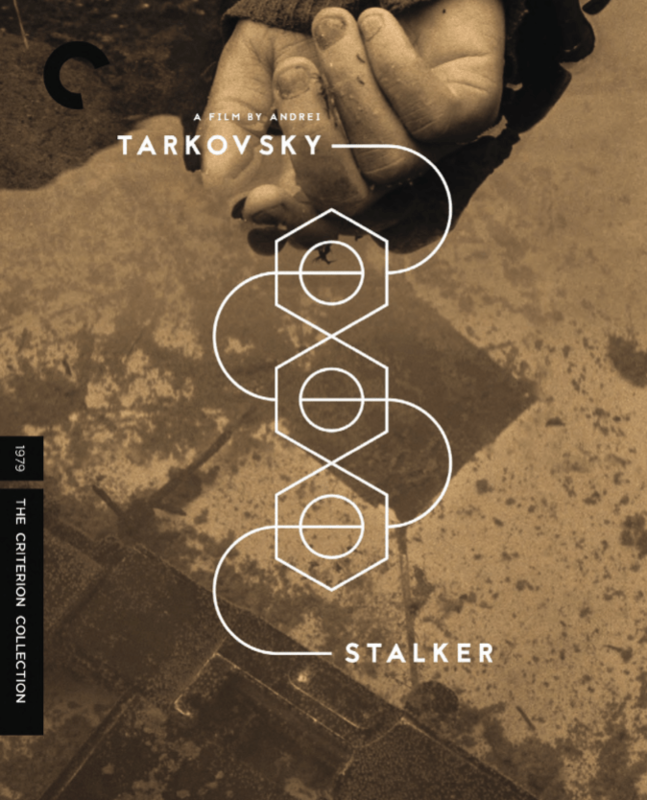 When Criterion released Andrei Tarkovsky’s Stalker (1979) some time back, their choice of image for their beautifully designed cover startled me at first. My own version, a now relatively old Artificial Eye release, had used the famous image of the “Room of Sand”; that perfect composition of man and the unusual dunes so expertly crafted as to feel more like a painting than a scene from a film. 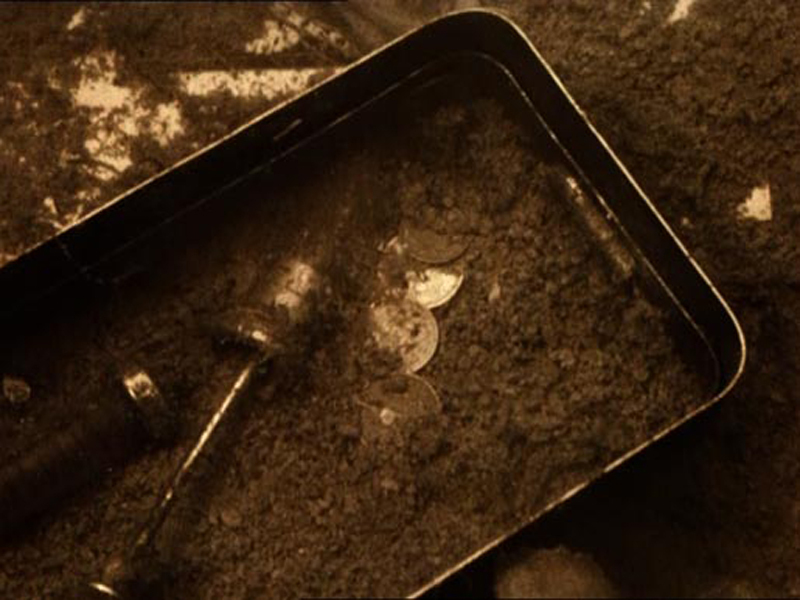 For the Criterion version, a still of a hand lying in a pool filled with debris was chosen, one of those beautifully sepia images that, at that point in the film, renders the images as part of a dream. When considering this image, however, it spoke more of the film as a whole, subtly concentrating the journey of its characters and defining something clearly of interest to Tarkovsky’s practice as a whole; the quiet poetry of debris and the truth within objects long since left to decay. Stalker follows three men as they enter “The Zone”; an edgeland realm rendered dangerous by a supposed fallen meteorite that has created a room where anyone’s most deep-seated desires can come true. 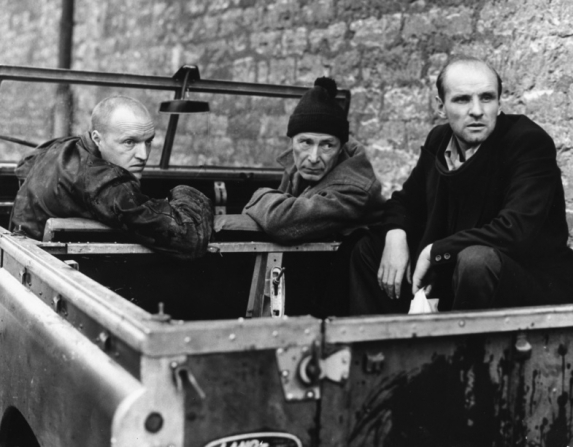 A writer (Anatoliy Solonitsyn) and a scientist (Nikolay Grinko) require the help of a “Stalker” (Aleksandr Kaydanovskiy) to gain access to The Zone and to traverse it safely. Their journey in search of this room becomes more and more treacherous as it appears that the place is almost sentient, raising questions ultimately about what we truly desire. In the opening quote taken from the Stugatskys’ Roadside Picnic, the source novel of the film, a sense of debris is clearly intertwined within this specific story and not simply Tarkovsky’s filmmaking as a whole. The presence of such objects has temporal qualities and implications; that people were here rather than are here, having left a trail behind them that rusts and disintegrates. This partly plays into the fallacy of material wants, apt for a film about desire and one that contains a room in which anything is possible. Yet even with this consideration, debris insinuates the past tense, and its presence is more than a cipher for a thematic idea. What that thematic idea could be exactly is forever debatable anyway. In Tarkovsky’s sequence from which the Criterion image is taken, the Stalker is once again lying on the ground, almost in communion with The Zone. The slow camera, changing in a cut from Ektachrome vibrancy to sepia hues, tracks slowly over the debris now submerged underwater; money, a needle, a Russian religious icon, rusted metal, something resembling a spanner (perhaps a reference to the earlier Stugatsky quote), tiles, bits of building perhaps and a multitude of other unnameable but manmade relics. What is the Stalker really dreaming about here, if it is a dream sequence at all? He is asleep with the debris, the dreamtime of objects from civilisations long since past. He himself becomes one of these objects, his hand floating in the water as if his body is drifting as a part of all this paraphernalia. In terms of the pure narrative structure of the film, this actually ties in solidly. It is clear that the Stalker’s daughter (Natalya Abramova) has somehow gained or become part of The Zone’s overall power, moving a glass along a table with her mind in the film’s final moments. But it matters little how the raw narrative material fits in; people are now debris in the epoch of desire overcoming all other interests, all other moralities, all other senses. What else can be done but to lie on the grass or in the water, waiting for the rust to oxidise over our bodies? Emphasis on such objects seems to be a direct concern for Tarkovsky. It allows him to express the presence of life in his films in short-hand refrains, creating enough of a gap to exist between the viewer and interpretation so that the meaning is potentially and ineffably infinite. In some ways, it resembles the formal qualities of a Haiku, a form that the director was fond of, especially those by Matsuo Basho. Such forms also explain why there is a certain resistance to any readings of his work; the infinite can be reduced down to zero, effectively leaving interpretation pointless. Such objects recur throughout his work, however, showcasing their presence to be more than coincidental. Even in the famous Polaroid photos taken by the director, collections of debris regularly makes up the body of the photographic subject. People are ghosted because of this, not always present but always in some sense there. The debris is more picturesque in such photographs but the effect is the same. Bronzed coins swimming among the fish become jars of flowers, old dinner services and cutlery, fruit, paintings and lamps. In a Polaroid taken during the filming of Nostalghia, a balance between the Zone’s debris and the memorabilia of household objects finds a middle ground with several things found in the spring used in several scenes throughout the film, now rusted blue by the spring’s coppery water; a lamp, a bicycle wheel, the body of a doll and some bottles emptied on pleasant nights long since past. When the Stalker lies with the debris, he becomes part of it. It is not a forced relationship, singular to him and his unique relationship to the place and its powers, but a relationship destined for us all. It humbles us, just as it humbles the scientist, sent to The Zone to destroy its dangerous power, but whose explosive device equally ends up under water and in pieces, floating with the fish. These are things that are simply there, as is, existing. But, in being so, the debris in Stalker and in Tarkovsky’s films as a whole (for it appears regularly and in many forms), cannot help but evoke the universal truth of death, our acceptance of it and the choice we have; between denying this truth via the reification of material goals or lying in the water, gently aware of our fate. Great piece Adam – and your last para is lent added weight by the possibility that Tarkovsky, his wife and the actor Anatoliy Solonitsyn all died from the effects of toxic chemicals that they were exposed to during the making of the film.